Networking equipment firm Huawei is under investigation for allegedly hacking an Indian telecommunications network. Intelligence agencies in India apparently discovered evidence that the Chinese firm had hacked into the state-run Bharat Sanchar Nigam Ltd (BSNL) network, as part of an attempt to sabotage its plans to expand to the eastern Indian city of Rajahmundry. There are concerns that the targeted coastal region is one of the worst affected by a Maoist insurgency, posing potential security risks. 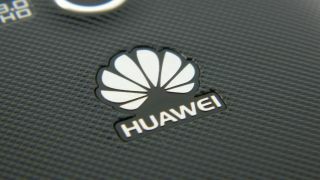 Other countries like the US have previously raised issues with the possible security threat of contracting to Chinese companies, including Huawei and ZTE. However, the White House found no evidence of spying, and the UK government believes these firms are safe. It is believed that the alleged hacking is the result of a bitter dispute between Huawei and ZTE, both of which fought for BSNL's expansion project. ZTE won the bid, and intelligence agencies think this instigated the hacking incident. BSNL said that its base station controller, which was relocated to Rajahmundry as part of ZTE's contracted expansion efforts, was brought down by employees of Huawei due to "inter-corporate rivalry." "An incident about alleged hacking of BSNL network by Huawei, a Chinese telecom company, has come to notice. The government has constituted an inter-ministerial team to investigate the matter," said T. Killi Kruparani, Union Minister of State for Communications and IT, according to The Hindu. Is getting hacked the best thing for your brand?